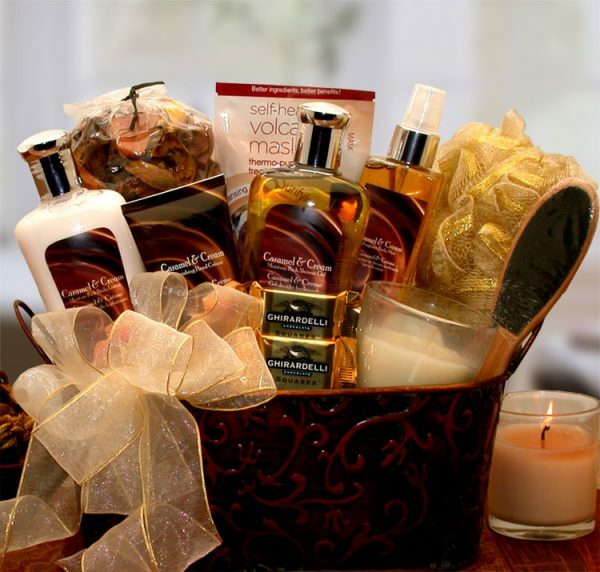 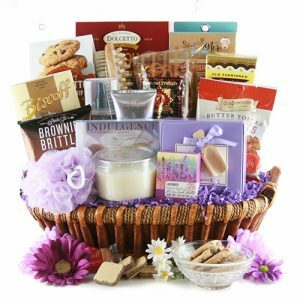 Soak in pure bliss with this Caramel Bliss Spa gift set from La Bella Baskets. 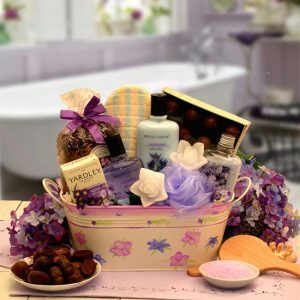 Inside the embossed luxurious container they’ll discover relaxing shower gel, body lotion, and bath crystals, along with a pouf sponge and facial mask for the ultimate in refreshing relaxation. 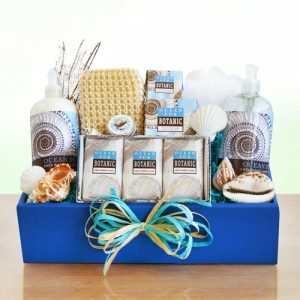 wide and 13″ tall and weighs 4 pounds.